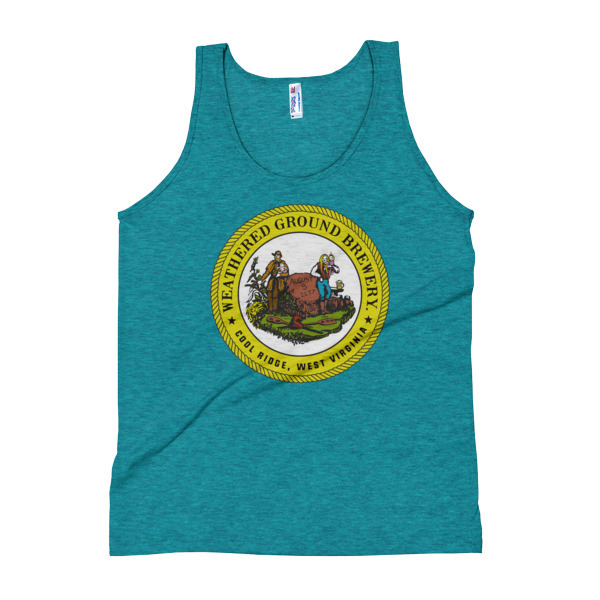 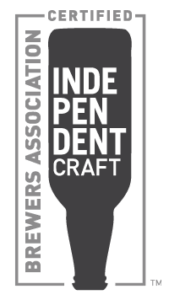 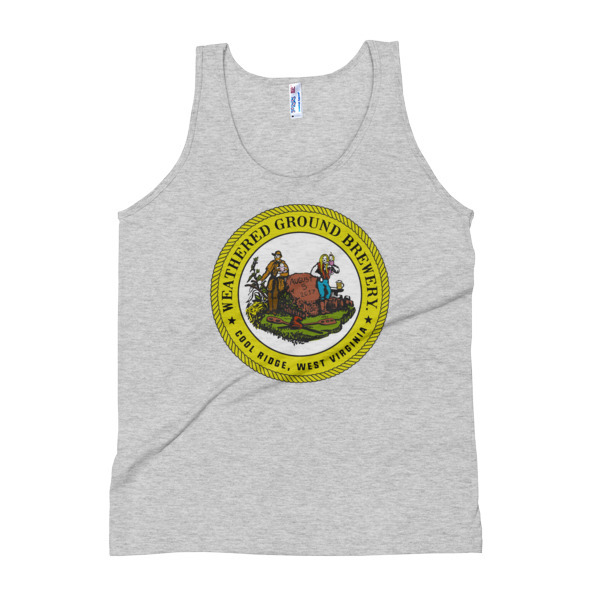 This tank features a loose drape, and the Weathered Ground Brewery state seal graphic. 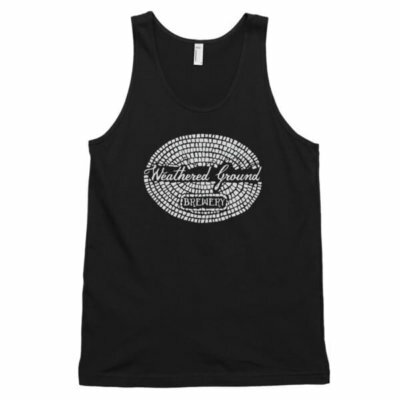 Perfect for the summer heat or for layering. 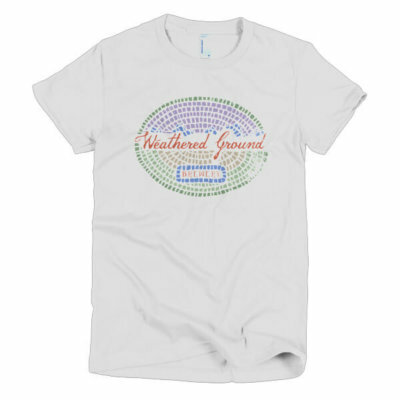 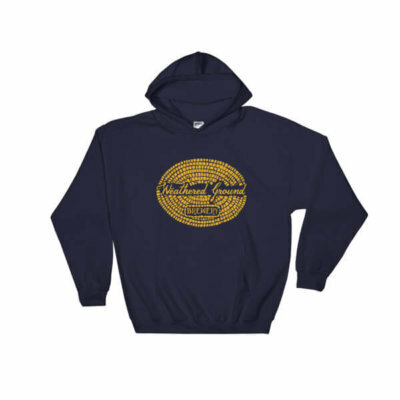 It’s made of an ultra-soft tri-blend fabric.